Two years ago, the Minnesota Twins made Derek Falvey their chief baseball officer with the precondition that Paul Molitor remain as manager. Molitor presided over a playoff team and won the American League Manager of the Year award in 2017, but the Twins slipped backward this season. Last week, Falvey and general manager Thad Levine decided the time was right to hire their own manager. Citing pursuit of more productive development by their younger players, Falvey and Levine fired Molitor on Tuesday while offering him an opportunity to remain with the organization in an undefined position in baseball operations. ”This wasn’t about our record this year. This is about what we think is best as we continue to grow a young team in the direction toward being a championship contender,” Falvey said. Falvey and other club executives expressed confidence that Molitor would stay with the Twins beyond the 20 years he has already worked for them in various roles, including the final three seasons of his Hall of Fame playing career. The Twins went 305-343 under the 62-year-old Molitor, with one appearance in the playoffs in 2017. They were 78-84 this year, long out of postseason contention after a series of early setbacks to several key players. Falvey and Levine, in a news conference at Target Field to announce the change, didn’t articulate specific reasons for firing Molitor or desired qualities they’re seeking with his replacement. The 20-minute session with reporters was largely filled with praise of Molitor’s acumen and attitude, including a willingness to employ data-driven, new-age strategy like defensive shifts and starting a game with a relief pitcher. With a backdrop of the struggles this year by center fielder Byron Buxton and third baseman Miguel Sano, the players long targeted as franchise cornerstones, the Twins have a need for new approaches and voices for their prospects that stretches beyond the main man in the dugout, however. Soon after Molitor was dismissed from his post, the Twins announced the firing of seven minor-league coaches and two strength and conditioning coaches from the major league staff. After the Twins went 85-77 and reached the wild-card game last season, Molitor was given a new three-year contract. Before Minnesota edged into the postseason, there was buzz that Molitor might’ve been let got at the end of last season. Executives often prefer to pick their own managers, though, and Falvey and Levine will now undertake that task. They’re willing to wait until after the World Series to decide, they said, in case a candidate is still participating. 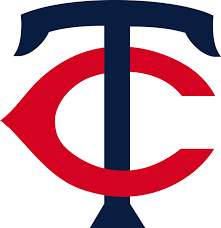 The Twins acquired relievers Fernando Rodney, Addison Reed and Zach Duke, starting pitchers Lance Lynn and Jake Odorizzi and designated hitter Logan Morrison over the winter, but Rodney and Duke were the only additions who couldn’t be considered disappointments on the field. 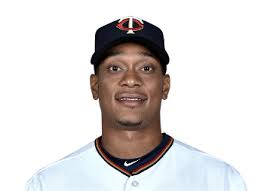 Shortstop Jorge Polanco was hit with an 80-game suspension to start the season for a positive test for a performance-enhancing substance, and starting pitcher Ervin Santana’s recovery from surgery on his middle finger was painfully slow. Catcher Jason Castro suffered a season-ending knee injury. Second baseman Brian Dozier labored through the summer with substandard production. Rodney, Duke, Lynn and Dozier, along with shortstop Eduardo Escobar and relief pitcher Ryan Pressly, were all traded to contenders in July and August. Molitor, who spent the final three seasons of his Hall of Fame playing career with his hometown team, held several roles within the organization before he was named the 13th manager of the Twins for 2015. Molitor was a roving minor league instructor, focusing on baserunning and infielding, from 2003 through 2013 with a one-year stint as hitting coach for the Seattle Mariners in between. He was bench coach for the Twins under manager Tom Kelly in 2000 and 2001 and then an assistant coach under manager Ron Gardenhire in 2014 with emphases on baserunning, bunting, infielding and in-game strategy.